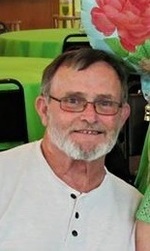 Thomas (Tommy) Lee Graves, 70 of Gilbert, AZ formerly from Leonardtown, MD passed away on October 26, 2017 in Gilbert, AZ. Born on September 10, 1947 in Baltimore, MD, he was the son of the late Violet Lucy Norris Graves, and Richard Harold Graves. Tommy is survived by his wife Darlene Patricia Hammett Graves, whom he married on June 9, 1979 in Holy Angels Catholic Church Avenue, MD. Tommy is survived by his children; Rebecca Powell (Pete) of Gilbert, AZ, Ricky Graves (Jenna) of Gilbert, AZ, and 4 grandchildren; Sydney, Shane, Sasha Powell and Connor Graves. He was preceded in death by his son Jeffrey Michael Graves, siblings; Joseph Harold Graves, and John Franklin Graves. He was a graduate of Chopticon High School in 1966. Tommy served in the United States Air Force from May 29, 1967 to May 28, 1971. While serving in the United States Air Force, he served a tour of duty in Vietnam in 1969. Tommy was an AC/Ref Equipment Mechanic for the Federal Government for 33 years, retiring in December 2003. He was a member of the Maryland Color Guard for several years, and was a lifetime member of the VFW Post 2632 in California, MD. The family will receive friends on Friday, November 10, 2017 from 10:00 to 11:00 AM in the Mattingley-Gardiner Funeral Home Leonardtown, MD. A Funeral Service will follow at 11:00 AM in the Funeral Home Chapel. Interment will be private. Contributions may be made to the Leonardtown Vol. Rescue Squad P.O. Box 299 Leonardtown, MD 20650 and or SMAWL (St. Mary’s County Animal Welfare League) P.O. Box 1232 Leonardtown, MD 20650. This entry was posted on October 31, 2017 at 3:32 pm and is filed under All News, Obituaries, z Obituary Ad Top. You can follow any responses to this entry through the RSS 2.0 feed.